The first half of the year is looking busy for AMD. AMD hosted its fourth quarter earnings call yesterday, and the company had some news regarding its new processor and graphics card. According to PC World, CEO of AMD Lisa Su confirmed the new Ryzen processor will be releasing in early March, as expected. An early March release date has been on the cards for a while now, as we've pointed out in our Ryzen details and expectations article. The rumors had been backed up by the existence of a panel at GDC, which runs from February 27 - March 3, entitled "Optimizing for Ryzen CPU." Su also confirmed AMD's plans for "Zen 2" and "Zen 3," and said the company is keeping 7nm technology in mind for its follow-ups to Ryzen. 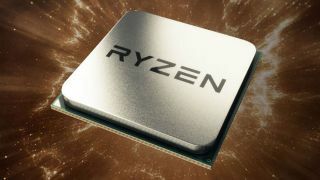 Ryzen is AMD's attempt to get back on terms with Intel in the CPU game, and Su said the new chips will be competing with the Intel Core i5 and i7 processors. Last year, 60 percent of AMD's revenue came from its GPUs, meaning only 40 percent combined came from its CPUs and its hardware found in Xbox One and PlayStation 4 consoles. Even if Ryzen doesn't topple Intel's new chips, there will at least be more competition in the CPU market. On the graphics card end of things, AMD also confirmed the upcoming Vega GPUs will be launching during the second quarter of the year. The company believes the much anticipated GPU could outperform Nvidia's top of the line GTX 1080. Check out our Vega hub page for everything you need to know about the new GPU architecture so far. As for the actual earnings numbers, AMD reported a 7 percent increase in revenue from last year, up to $1.1 billion, however it has reported a net loss of $51 million, claiming $26 million in operating income after expenses. AMD is expecting revenue to drop by 11 percent in the current quarter, because of the lack of new hardware before Ryzen's launch. So, it seems likely we'll be seeing AMD Ryzen before March 3, and the rumored June launch for Vega is a good bet.